Closing the Bergmann Hotel in Juneau left some of its tenants homeless and now they’re wondering what they’ll do next. The Glory Hole soup kitchen is the only short-term shelter open to men, women and children in Juneau. It’s the perfect place for Charlie Joseph to stay warm and wait out the day. Joseph was at a barbecue the night police and other officials came to close the Bergmann Hotel. So when he went home, he was surprised he couldn’t get in. “And I went down there and I seen the plyboards on all the windows and when I went to the front, everything was plyboarded off so I didn’t know what was going on,” Joseph said. The historic building has suffered from years of neglect and mistreatment. Juneau officials condemned it because the building isn’t safe but for Joseph and other Juneau residents, it was home. 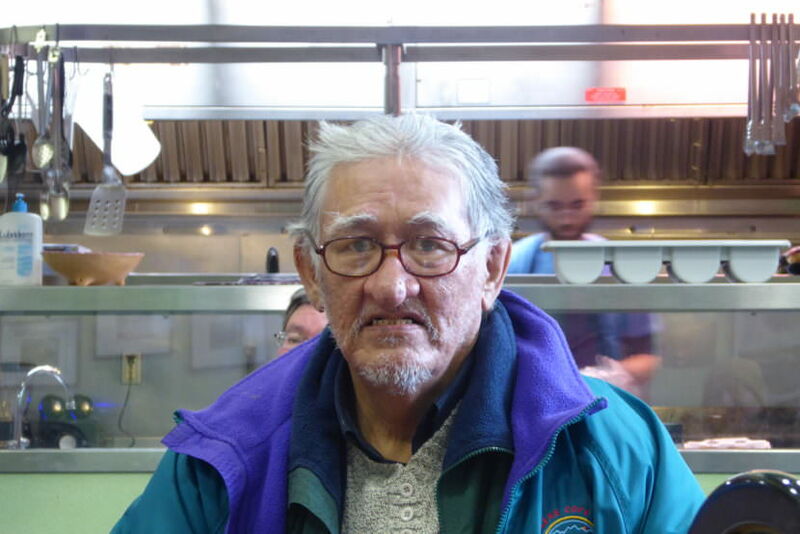 The Salvation Army church opened a temporary warming station downtown specifically for the Bergmann residents, but Joseph didn’t know that until the next morning. Joseph said he just walked the streets all night. He didn’t get any of his things, including his medicine for hypertension and post-traumatic stress disorder before being evicted. Juneau officials posted a sheet of paper condemning the Bergmann on Thursday. The paper had orders for all the tenants to be out in 24 hours. They also sent a letter to the owners and the property manager listing 15 ways the building violated city code. 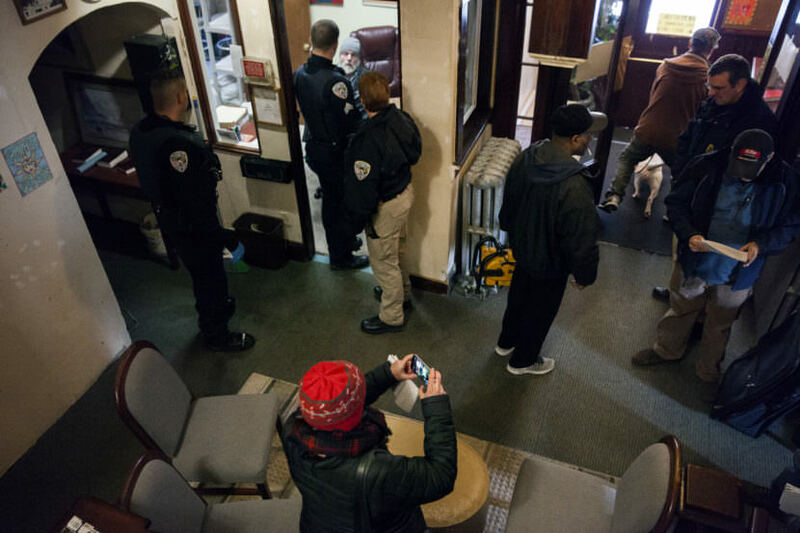 When police cleared the building Friday, they promised Bergmann residents that city officials would let them recover their belongings left in the building. Joseph said no one told him about the pending closure but he had heard rumors about what might happen. “Everybody was telling us that that’s what they were going to do, but I didn’t get no paper (and) nobody came and talked to me about it, so everything was up in the air,” Joseph said. 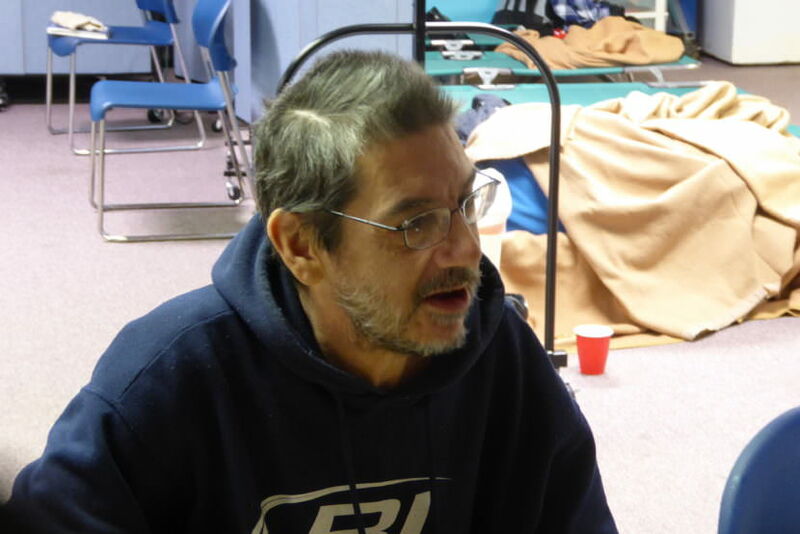 Joseph plans to spend his next night indoors in the warming station in the Salvation Army church’s lower level. There are seven people sleeping here tonight and four are Bergmann tenants. The night before about 15 people came for soup and seven spent the night. The Bergmann property manager said the hotel averaged 30 residents per month. 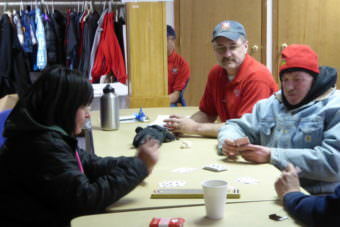 Chris Clark is playing cribbage with two friends. He says he found out the Bergmann was being closed two hours before he had to leave. Clark said losing his home has made everything harder. A Salvation Army volunteer brought Clark tissue so he could wipe away tears. He also has a bad back and is on disability. “You know, I was really proud of being able to pay for my own home and now it’s gone and so is my money. So yeah, I’m a little upset,” Clark said. Clark said he and his friends spent the day at the bus stop where they went to keep warm. He’s thankful for the Salvation Army. Lt. Lance Walters with the Salvation Army says this warming station is on a trial run. “We’re going to be open from 7 in the evening to 7 in the morning and we’re going to go till Tuesday morning,” Walters said. Whether they open again depends on how many people volunteer to help. Walters says the station is a second chance for people who can’t sleep in the Glory Hole. The shelter won’t take people with a blood alcohol level over 0.1. Walters said the Salvation Army won’t turn away people who are drunk unless they cause too much trouble. The City and Borough of Juneau’s letter to the Bergmann’s owners gave them a chance to fix the building and open it to tenants in the future. When each of the 15 violations are fixed, the letter says to contact the CBJ for an inspection. Alaska Energy Desk’s Rashah McChesney contributed to this story.